This is a good looking folder that is best suited to be kept on the shelf as an ornament. 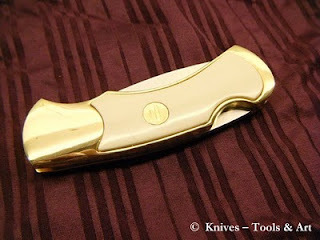 The knife, offered by Franklin Mint, comes with a small collectors bag and a collectors certificate. This knife is one of a series of folders of the same size but with different motives on the handles. 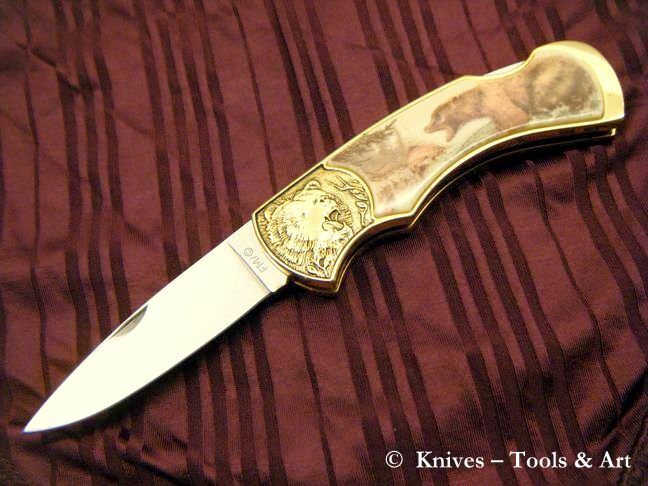 This knife's motive is a bear fishing for salmon.